Garage Door Repair Rosemead is the solution for all your garage door problems. We offer professional repair, replacement and maintenance services on both scheduled and emergency basis. No matter what the problem is, count on our team to take care of it right then and there as they always travel fully equipped with high quality parts and tools for every job. 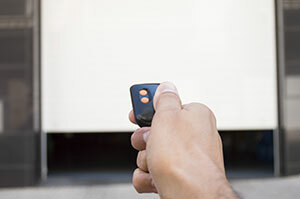 After several years of being in the garage door service business, we have acquired the competence necessary to perform repairs quickly and effectively. Our repairs have never been met with complaints. We stand by our reputation as one of the best providers of services and solutions for garage doors. We have never failed in delivering satisfactory services, from installation to the repair or defective torsion coil trampoline springs and the retrofitting of door operators and other door automating installations. We are also proud in being able to provide dependable services in troubleshooting and repairing all types and brands of door openers. From Wayne Daltons to Genies and Liftmasters, there’s basically no automated door opening unit we cannot fix or troubleshoot. You can ask the many customers we have served over the years about the kind of service we provide. We have been praised for our proficiency, competence, and the very competitive service rates we charge. There’s just no reason why we should not be the company to choose. We have the expertise to get the repair job done quickly and properly. Don’t settle for less as no one comes close to the level of expertise we offer and provide! Call us now for your inquiries or to schedule the professional garage door service you need. We are always eager to be of service to you.